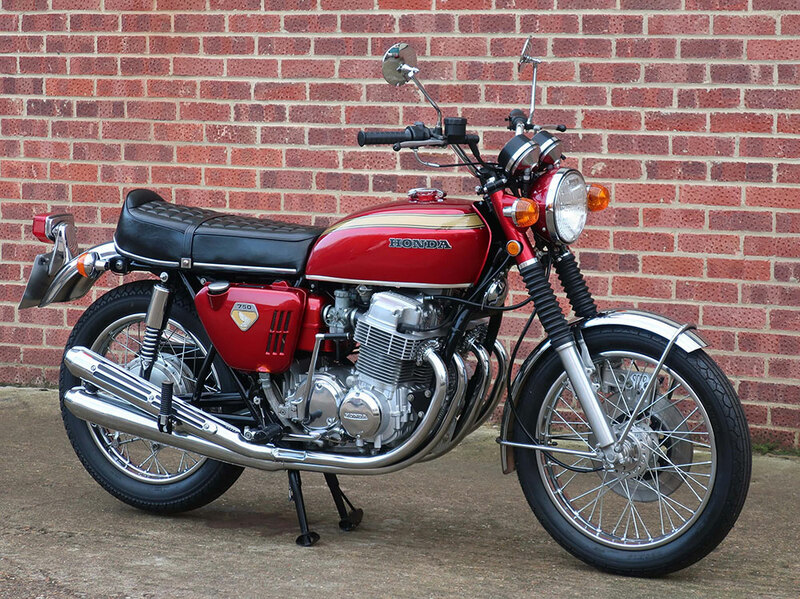 The introduction of the Honda CB750 in 1969 rang the death bell for the British motorcycle industry that had been the more or less the World leader in production motorcycles since the 1950’s. 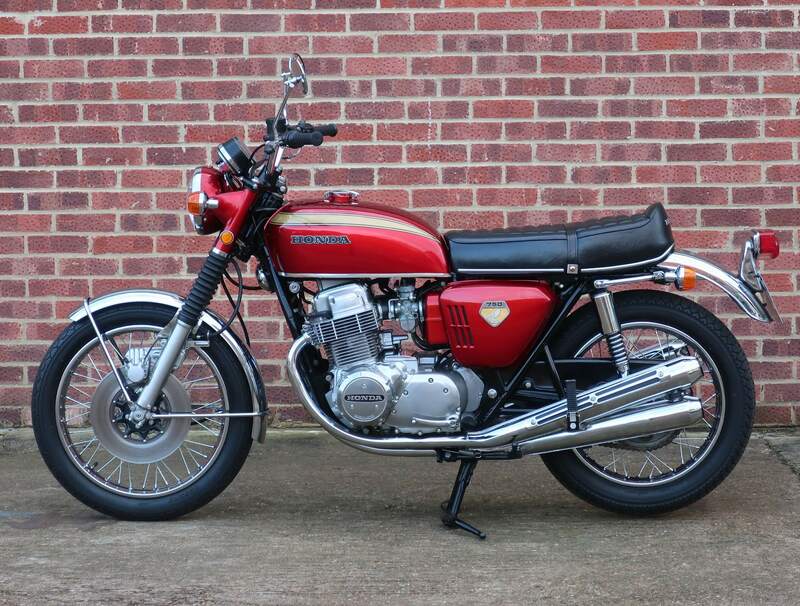 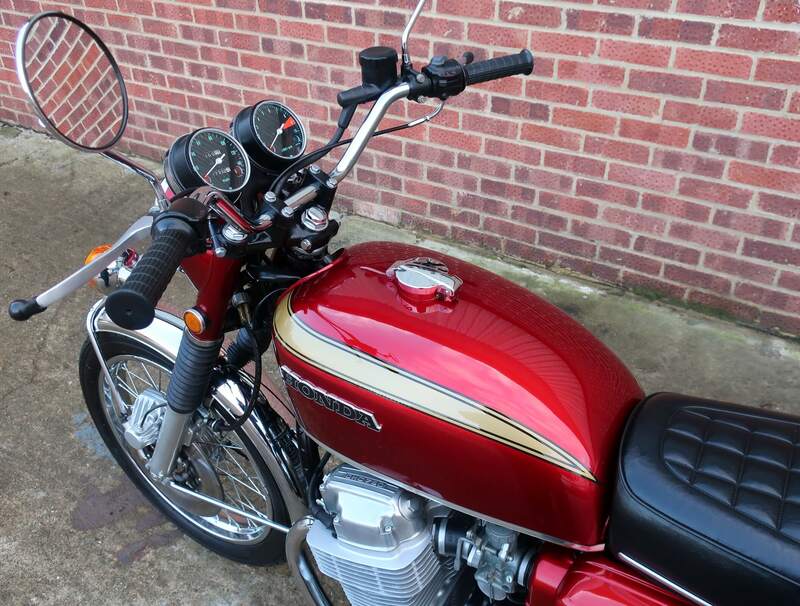 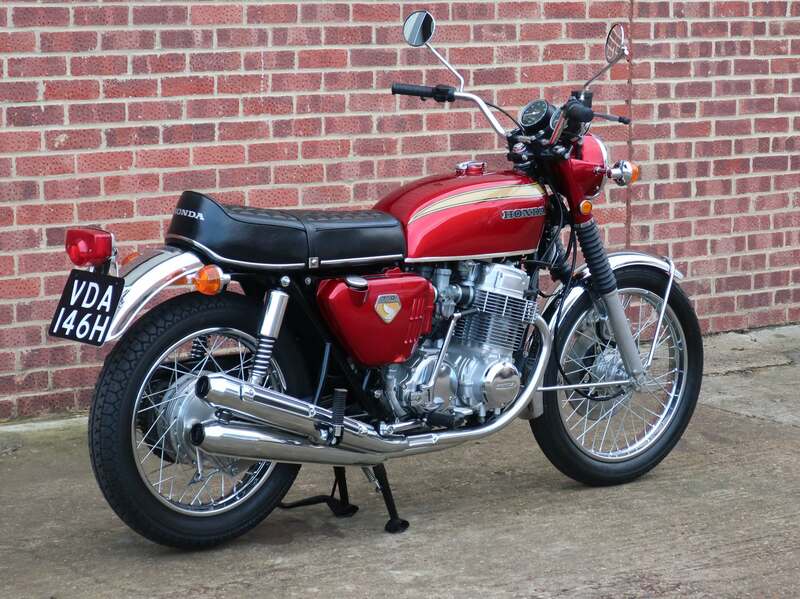 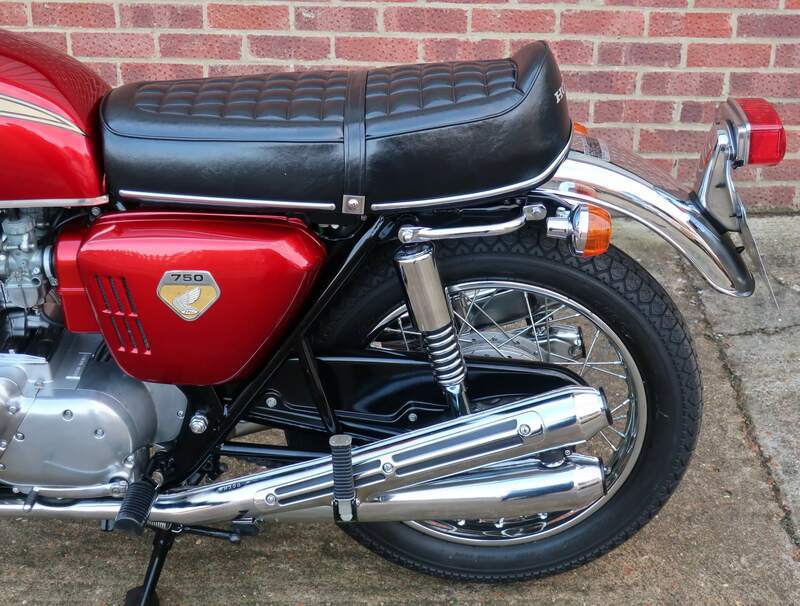 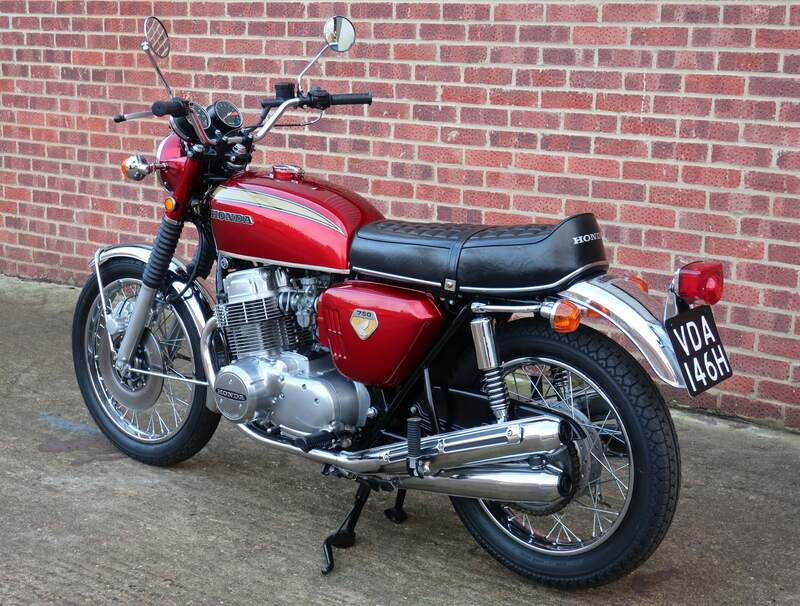 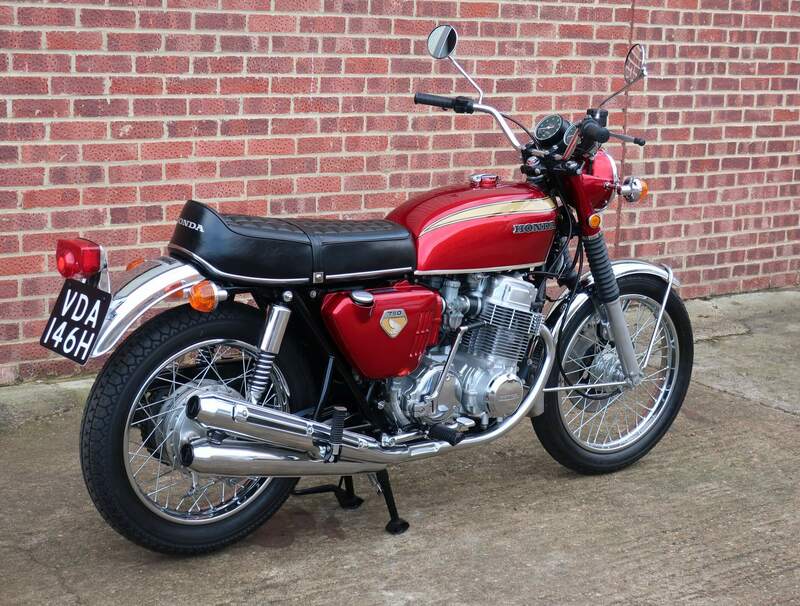 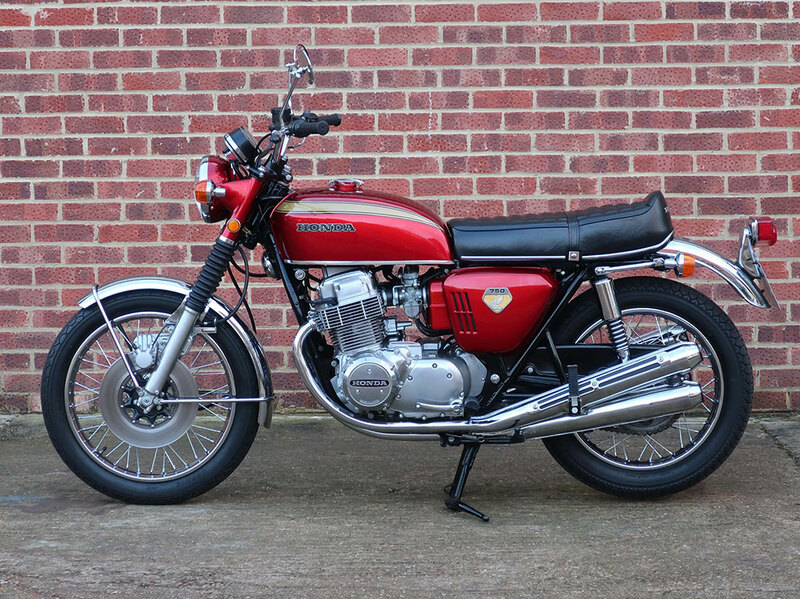 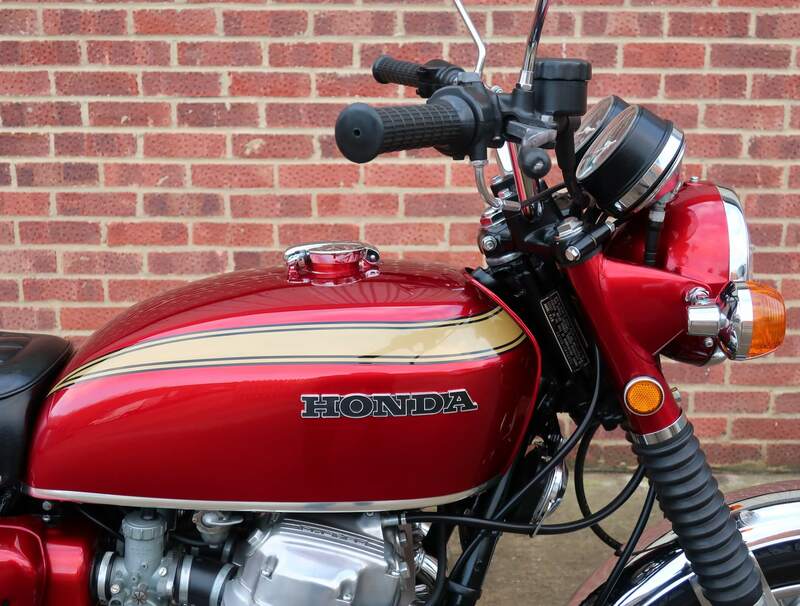 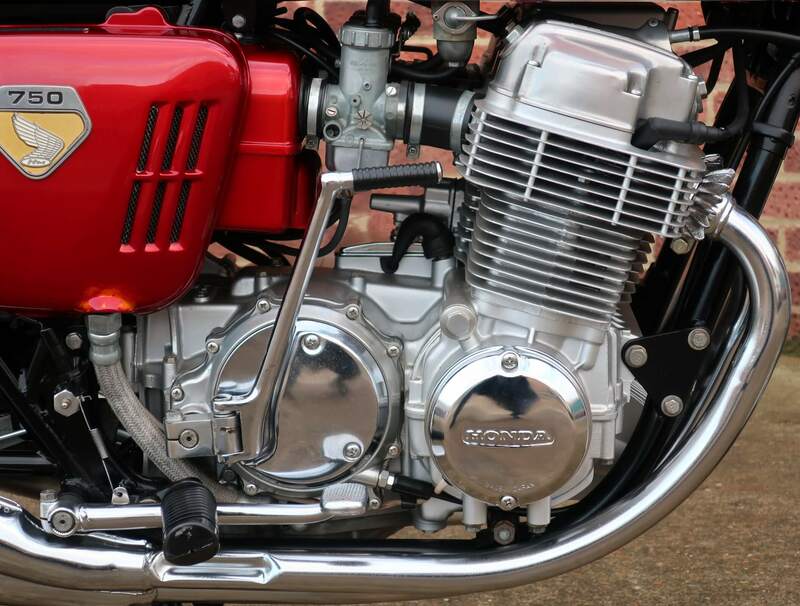 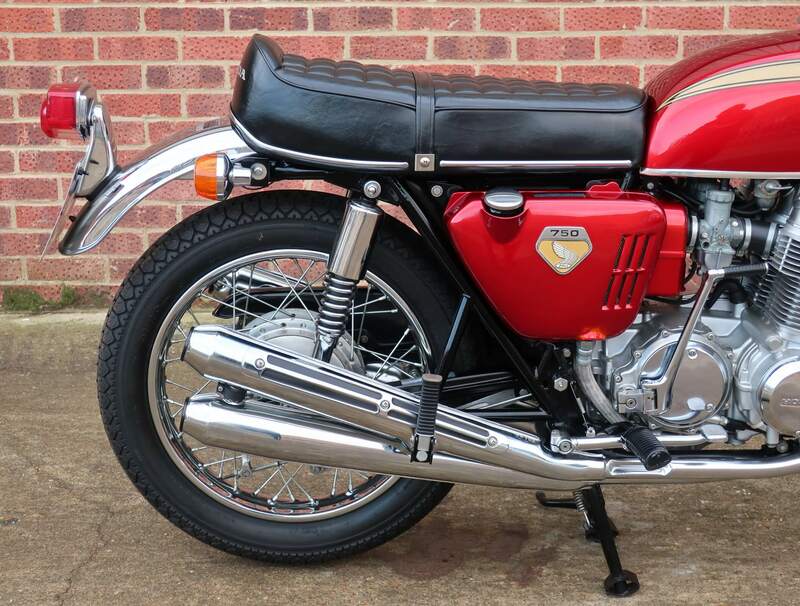 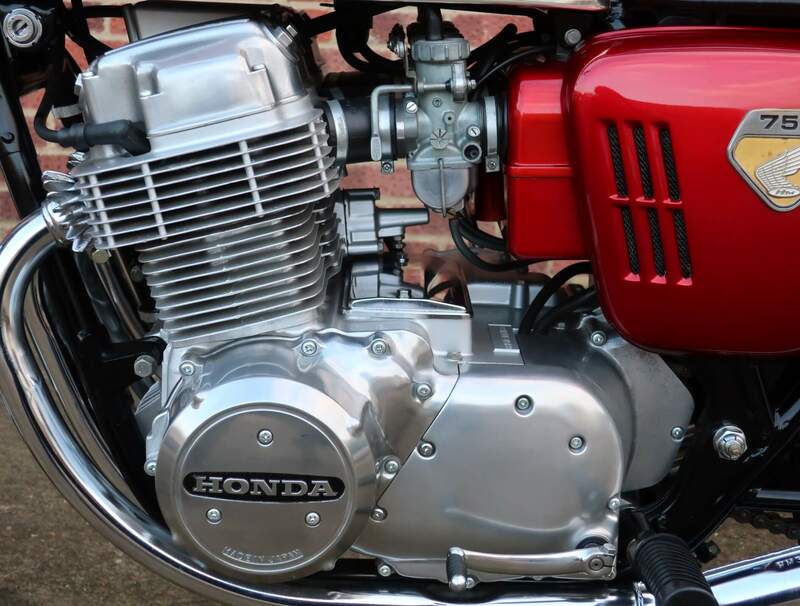 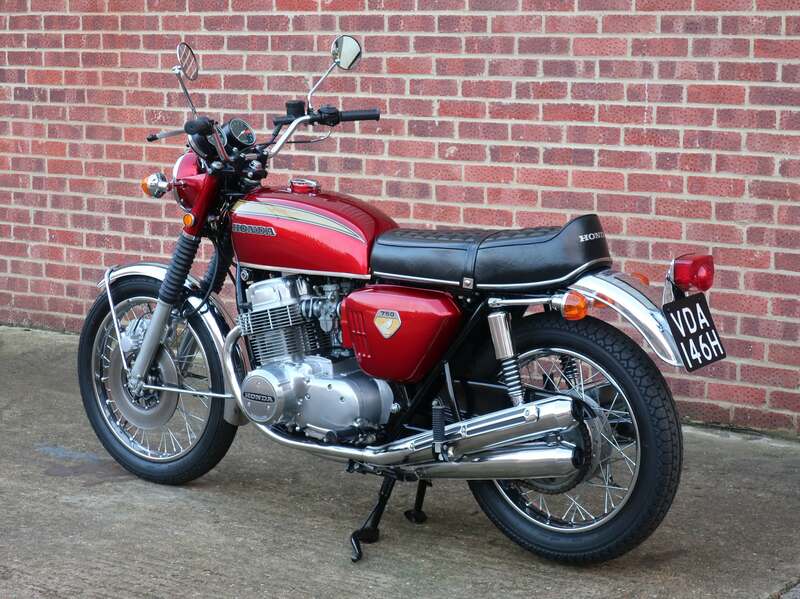 The design, quality and reliability was just better in every way, a remarkable achievement considering Honda had only started producing motorcycles in 1949 most of which were small capacity – moped type – bikes until 1966 when the CB450 was introduced. 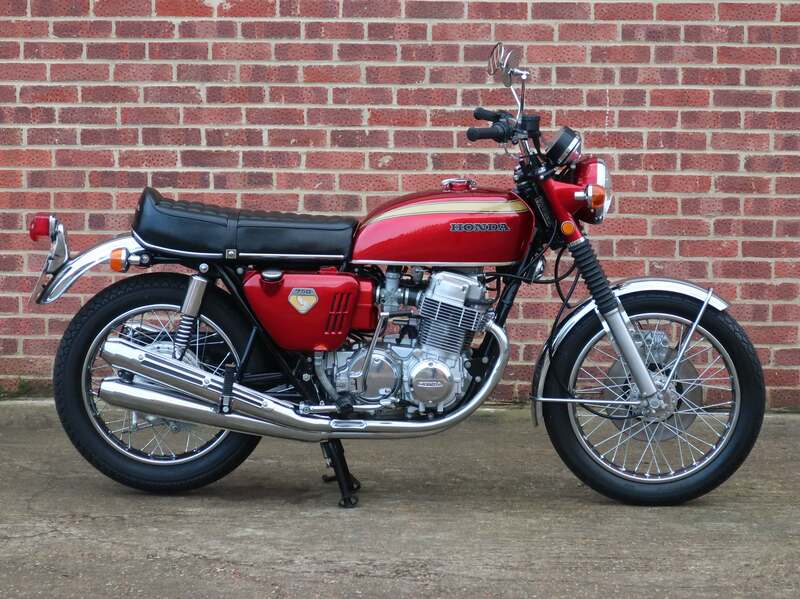 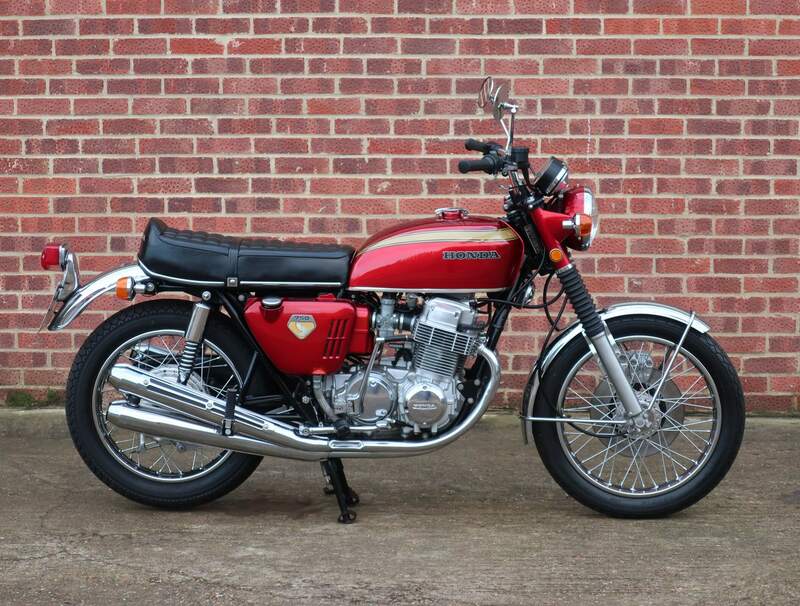 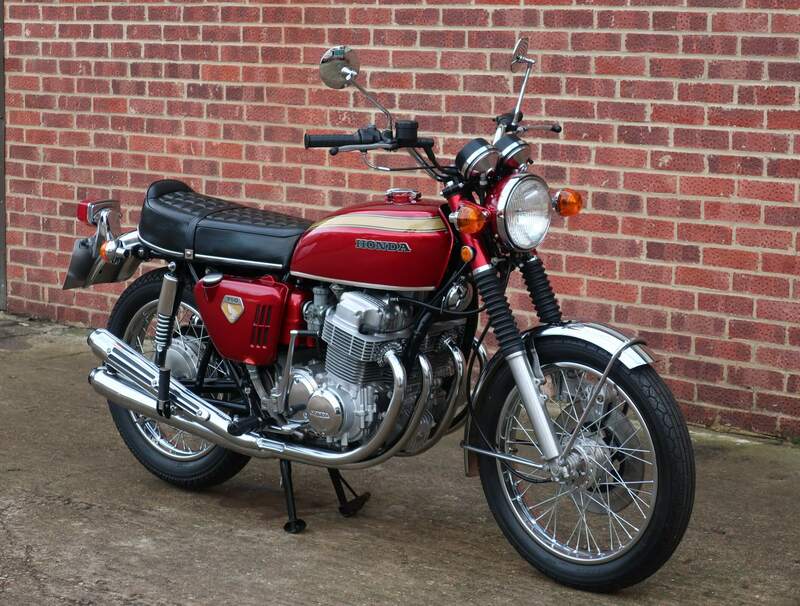 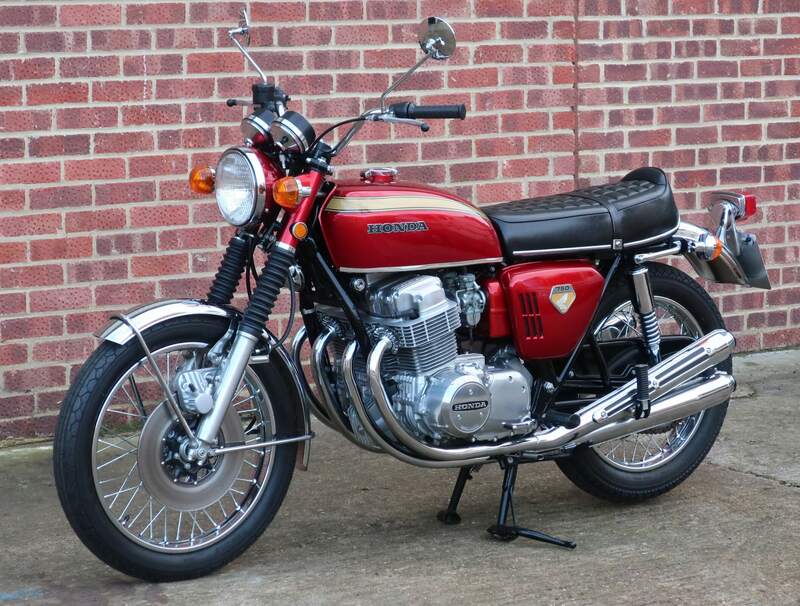 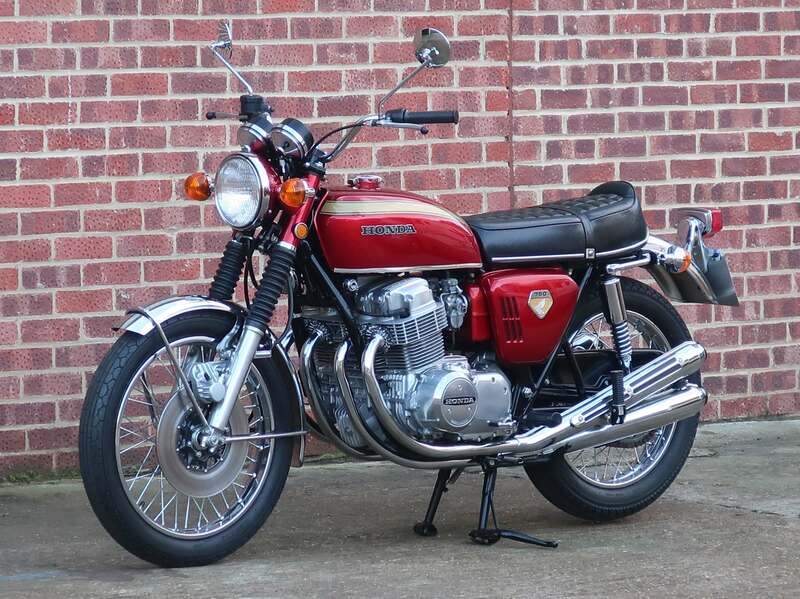 Early examples of the iconic CB750 had sand cast engines, although quite a few were built not many have survived as the cases cracked easily when the faulty timing chains broke, as such their values have vastly increased in recent years. 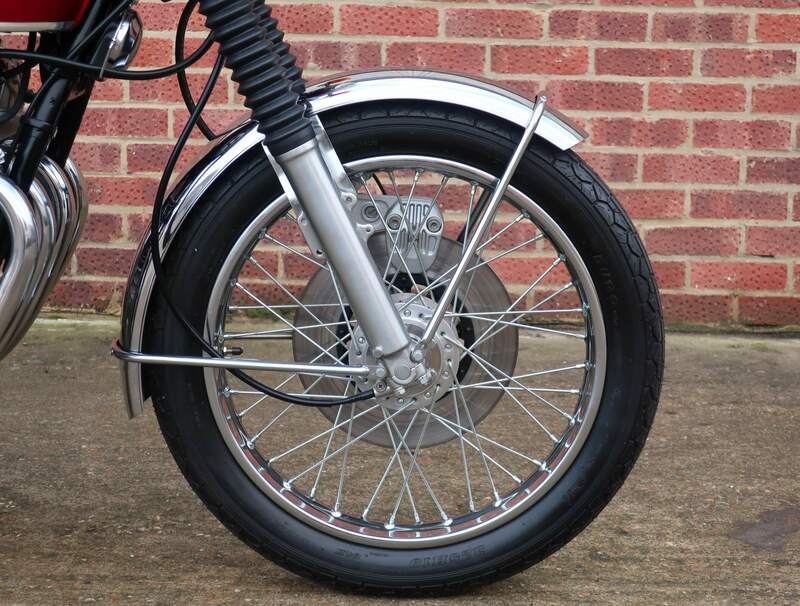 The K0 models were more robust and survived better but still retain the uncluttered original design features. 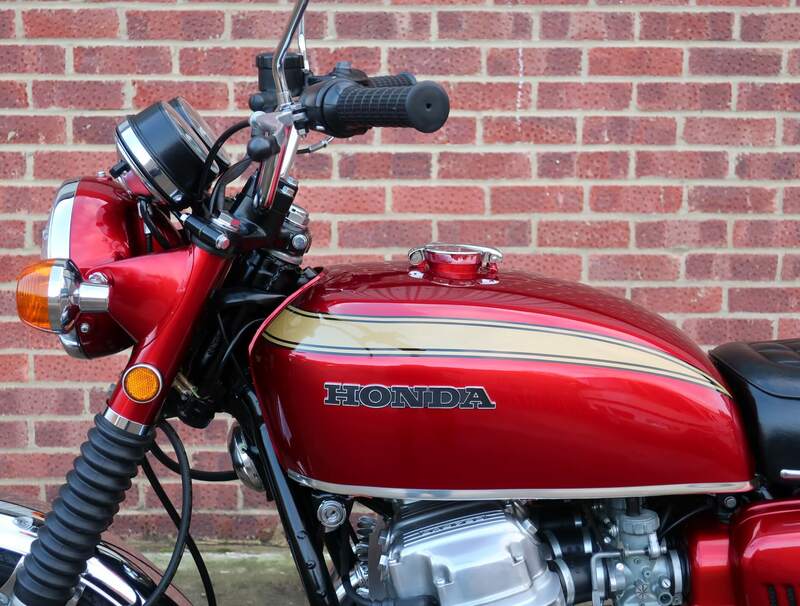 This immaculate example had been beautifully restored before being part of a large motorcycle collection. 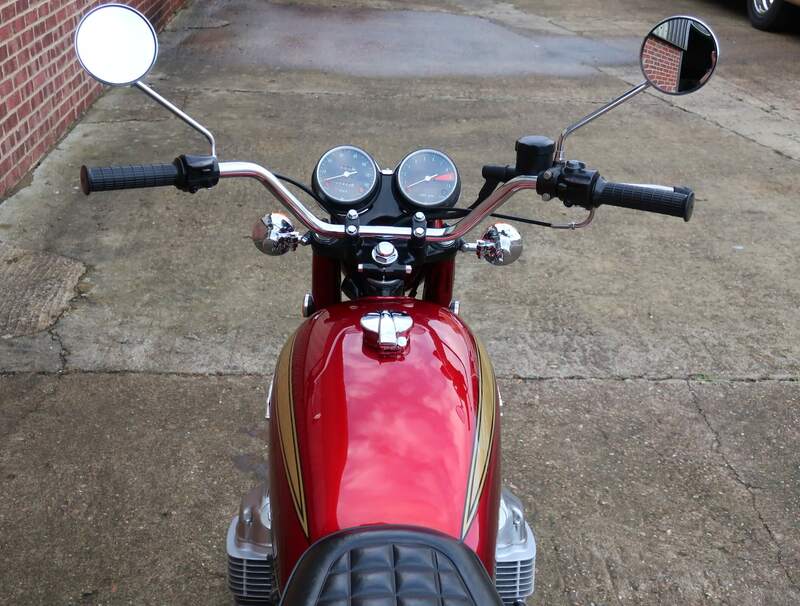 It remains in first class order and shows 17332 miles. 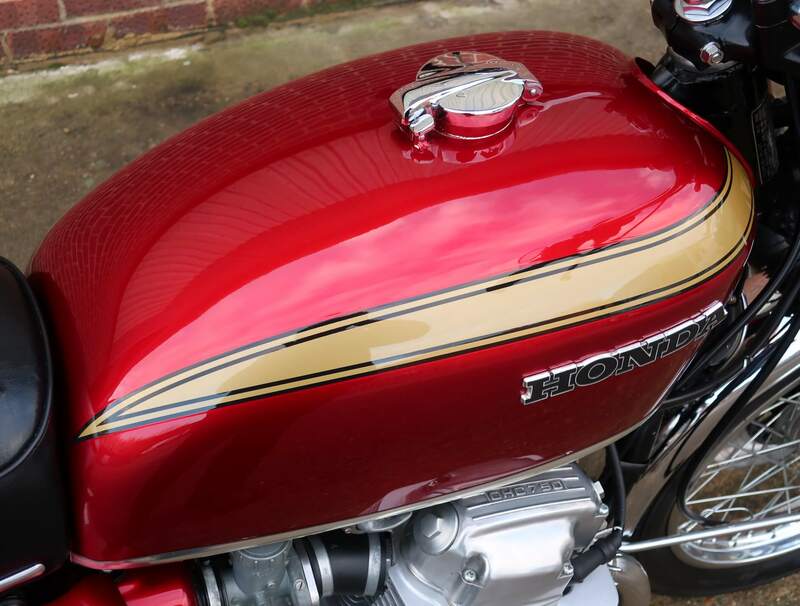 Finished in the striking ‘candy apple’ red it must be one of the finest examples currently on offer.